*The Chicago Police Department seems to be working overtime to prove to the black community that they are the enemy. 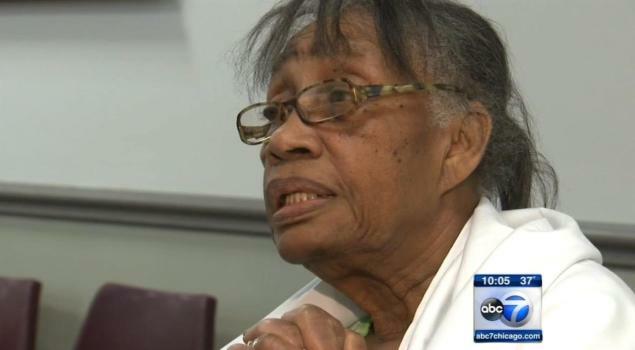 The latest example of that happened earlier this week after they sent an 82-year-old black woman to the hospital after they allegedly raided the wrong home. However, CPD is not apologizing for their actions. The incident, according ABC7 Chicago, went down when police issued an arrest warrant for the home of Elizabeth Harrison. Her home was targeted by the cops who claimed they had the right to search it for an alleged assailant. This, despite the fact Harrison, a great-grandmother, who lives alone and had no idea who the man was. Harrison said to reporters that she nearly had a heart attack when police officers raided her home with guns drawn. Her daughter Linda Channel, who lives down the street, hurried to her mother’s home to find her breathing uncontrollably. “They had her sitting in a chair, and her breathing was like (heavy breathing sounds,)” she reenacted. Check this out. While Channel was speaking with police officers about the damages sustained to her mother’s home, she said the man the cops were searching for walked up to them and told them they were at the wrong house. “‘You all came to the wrong house. I live at 126, and this is 136,’” Channel said, quoting the man. Apparently the cops couldn’t care less about Channel’s claims about the suspect … a CPD spokesperson maintained the officers were at the right address. On the other hand, Chicago police didn’t arrest the man because they didn’t turn up any evidence against him after they didn’t go through with searching Harrison’s home once they noticed she needed medical attention, a spokesman said. Elizabeth Harrison was hospitalized so doctors could carefully monitor her heart rate. They don’t even have the respect to say I’m sorry.